Hedge funds are not perfect. They have their bad picks just like everyone else. Facebook, a stock hedge funds have loved, lost nearly 40% of its value at one point in 2018. Although hedge funds are not perfect, their consensus picks do deliver solid returns, however. Our data show the top 15 S&P 500 stocks among hedge funds at the end of December 2018 yielded an average return of 19.7% year-to-date, vs. a gain of 13.1% for the S&P 500 Index. Because hedge funds have a lot of resources and their consensus picks do well, we pay attention to what they think. In this article, we analyze what the elite funds think of Huntington Bancshares Incorporated (NASDAQ:HBAN). Is Huntington Bancshares Incorporated (NASDAQ:HBAN) a healthy stock for your portfolio? The best stock pickers are in an optimistic mood. The number of long hedge fund bets advanced by 2 in recent months. Our calculations also showed that HBAN isn’t among the 30 most popular stocks among hedge funds. HBAN was in 28 hedge funds’ portfolios at the end of December. 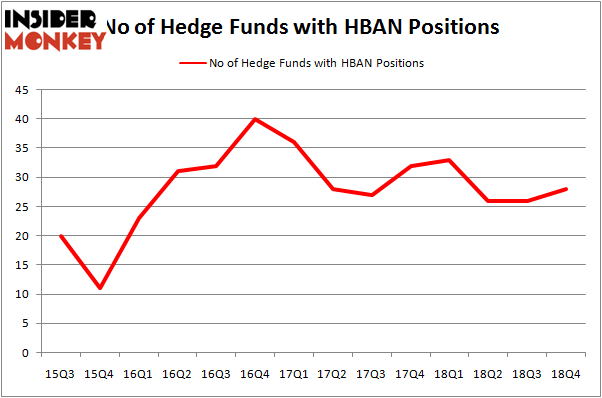 There were 26 hedge funds in our database with HBAN positions at the end of the previous quarter. Let’s take a look at the latest hedge fund action regarding Huntington Bancshares Incorporated (NASDAQ:HBAN). At Q4’s end, a total of 28 of the hedge funds tracked by Insider Monkey were bullish on this stock, a change of 8% from the previous quarter. On the other hand, there were a total of 33 hedge funds with a bullish position in HBAN a year ago. With hedgies’ capital changing hands, there exists a few notable hedge fund managers who were adding to their stakes substantially (or already accumulated large positions). When looking at the institutional investors followed by Insider Monkey, Adage Capital Management, managed by Phill Gross and Robert Atchinson, holds the number one position in Huntington Bancshares Incorporated (NASDAQ:HBAN). Adage Capital Management has a $19.4 million position in the stock, comprising 0.1% of its 13F portfolio. 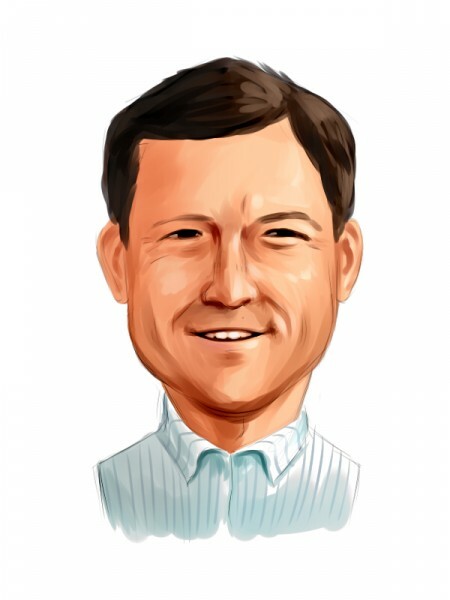 Coming in second is Matthew Iorio of White Elm Capital, with a $18 million position; 5% of its 13F portfolio is allocated to the stock. Other hedge funds and institutional investors that are bullish include Matthew Lindenbaum’s Basswood Capital, Israel Englander’s Millennium Management and Noam Gottesman’s GLG Partners. With a general bullishness amongst the heavyweights, some big names have been driving this bullishness. Basswood Capital, managed by Matthew Lindenbaum, initiated the largest position in Huntington Bancshares Incorporated (NASDAQ:HBAN). Basswood Capital had $12.7 million invested in the company at the end of the quarter. Michael Platt and William Reeves’s BlueCrest Capital Mgmt. also initiated a $2.2 million position during the quarter. The following funds were also among the new HBAN investors: John Overdeck and David Siegel’s Two Sigma Advisors, Ben Levine, Andrew Manuel and Stefan Renold’s LMR Partners, and Ian Simm’s Impax Asset Management. Let’s now review hedge fund activity in other stocks – not necessarily in the same industry as Huntington Bancshares Incorporated (NASDAQ:HBAN) but similarly valued. These stocks are Cincinnati Financial Corporation (NASDAQ:CINF), Synopsys, Inc. (NASDAQ:SNPS), Tenaris S.A. (NYSE:TS), and The Cooper Companies, Inc. (NYSE:COO). This group of stocks’ market values resemble HBAN’s market value. As you can see these stocks had an average of 22.5 hedge funds with bullish positions and the average amount invested in these stocks was $774 million. That figure was $109 million in HBAN’s case. Synopsys, Inc. (NASDAQ:SNPS) is the most popular stock in this table. On the other hand Tenaris S.A. (NYSE:TS) is the least popular one with only 13 bullish hedge fund positions. Huntington Bancshares Incorporated (NASDAQ:HBAN) is not the most popular stock in this group but hedge fund interest is still above average. This is a slightly positive signal but we’d rather spend our time researching stocks that hedge funds are piling on. Our calculations showed that top 15 most popular stocks among hedge funds returned 19.7% through March 15th and outperformed the S&P 500 ETF (SPY) by 6.6 percentage points. Hedge funds were also right about betting on HBAN, though not to the same extent, as the stock returned 16.5% and outperformed the market as well. Did Hedge Funds Drop The Ball On Markel Corporation (MKL) ? Here’s What Hedge Funds Think About ABIOMED, Inc. (ABMD) Here’s What Hedge Funds Think About Cheniere Energy, Inc. (LNG) Here is What Hedge Funds Think About American Airlines Group Inc (AAL) Here’s What Hedge Funds Think About Total System Services, Inc. (TSS) Did Hedge Funds Drop The Ball On Plains All American Pipeline, L.P. (PAA) ?